Printing at its Best with a Personal ServiceWe're glad you're here! Everything we do and every decision we make is for the purpose of improving service for our customers and making sure that our clients, our staff and our company are successful.We are a family owned and operated commercial print store. We pride ourselves in the service we provide for our clients and the products we create help to make your business more successful. Our job is to make you look good on paper.Our family provided the neighbourhoods of the Plymouth area and Western Wayne County, with a wide selection of printing services since July 2003. We provide off-set, full color digital and black & white printing, full bindery services, as well as, artwork and design for an extensive range of printed items: business cards, envelopes, letterheads, note pads, carbonless forms, brochures, flyers, postcards, checks, labels, presentation folders, stamps, direct mail, USPS Every Door Direct Mailings and much more.We show our support for the local area through our active membership in the Rotary Club of Plymouth AM, Plymouth Community Chamber of Commerce, the Canton Chamber and Northville Chamber. 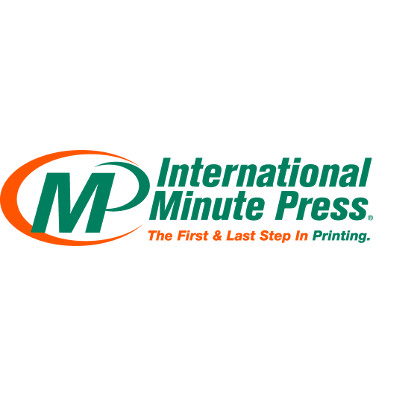 Our International Minute Press store provides free delivery within Wayne County. We also provide free delivery to ~ Oakland County, Washtenaw County and Livingston County. International Minute Press can handle your small jobs as well as large ones, and can print on paper or any other items you want to see your logo on. Our location is easily accessible on Main Street with free parking right out front. Drop off your copying job and grab lunch. When you get back, your copies will be ready for you. Canâ€™t get here? We offer free pick up and delivery service. Just email us your job or upload onto our website and we will bring it to your door.